With internet traffic set to double again before the current batch of routers are obsolete, Nokia is turning to new silicon to help upgrade core networks. With internet traffic set to triple over the next five years or so, according to recent estimates from Nokia and Cisco Systems, Nokia thinks the time is right for a new range of high-end routers that can boost core capacity by a factor of six -- and even help 10-year-old devices to double their capacity. Nokia predicts that by 2022, total internet traffic will reach 330 exabytes per month. (That's 330 million terabytes). For its part, Cisco forecasts it will grow at 24 percent per year from a base of 96 exabytes per month in 2016 to 278 exabytes per month in 2021. That traffic growth will be driven by three things, according to Nokia: cloud services, 5G mobile networks, and the internet of things. In a recent report on securing IoT, Cisco predicted there will be 50 billion connected devices by 2020; Nokia reckons there will be 100 billion IoT devices by 2025, up from 12 billion in 2017. Protecting those billions of IoT devices against misuse will be vital if they are not to be turned against us. That's already a problem, with millions of connected cameras and home routers being subverted in recent months and used to launch DDoS (distributed denial of service) attacks. Cisco expects the number of DDoS attacks to grow from around 1.25 million in 2016 to 3.1 million in 2021. Nokia is more alarmist: It expects 10 million such attacks in 2017 alone -- although this may reflect different definitions of the level of traffic required to effectively deny service. All that raises the question, if internet use -- and misuse -- is going to grow so fast, how on earth are we going to route it? Nokia's answer to that is a new chip, the FP4, which can process up to 2.4 terabits per second. It's based on the FP3 chip Nokia already uses, but combines several of them into a single package. Pack several of these on the same circuit board and the end result is a line card capable of 12 Tbps. In a new router, these cards are able to handle six times the traffic of the model they replace, but according to Steve Vogelsang, CTO for Nokia's IP and optical business, they can be slotted into routers up to 10 years old as well. There, they can double the capacity of the 7750 SR-12 Service Router, for example, and even treble the capacity of the slightly newer 7750 SR-12e. The latest addition to the range, the single-shelf Nokia 7750 SR-14s, will be able to handle up to 144 Tbps when it goes on sale in the fourth quarter. 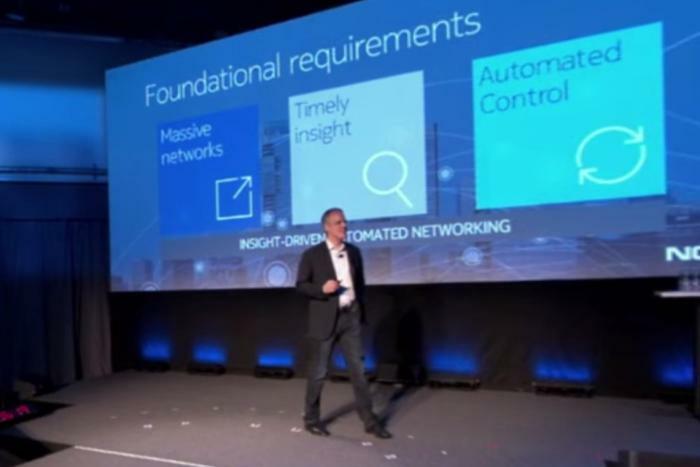 At the same time, Nokia is also introducing the 7950 XRS-XC Extensible Routing System, which it somewhat optimistically describes as "petabit-class." The actual specification is almost as impressive: up to 576 terabits (just over half a petabit) per second in a single system, achieved through chassis extension without the need for switching shelves. Another benefit of the new FP4 chip is its ability to stream traffic statistics to an external analytics system, such as Nokia's recently acquired Deepfield IP network analytics system. That's how Nokia expects the new routers to help spot DDoS attacks and other nefarious activity. The chips can also perform stateless packet inspection, allowing further insight into traffic problems.